The Bristol Sound and Vision Show had its 30th Anniversary on this weekend. I have not attended all of them. In fact , this was only my 2nd Bristol show. My first was on the day of my 21st; Saturday 11th February 1988. How many of you can remember back that far I wonder? My 2nd was 29 years later. Yes I am now in my 50th year. Purely a coincidence but food for thought. Clearly the things that interested me back then still feature largely in my life now. Waiting at the entrance of the Marriot Hotel such things couldn’t have been further from my mind. The queue was, at 10:30 , surprisingly large. The rain was just starting and the skies looked ominous. This was sure to be a day when many HiFi enthusiasts could take advantage of a dismal British day and have the perfect excuse for an outing to remember. In through the door in 5 minutes and presenting myself at the cash desk, I was presented with a programme guide and a T Audio brochure. Saturday being the busiest day of the weekend for an Audio Show meant I was going to need a strategy for coping with the crowds and for seeing what I wanted to see. I had made no plan and had only decided to go to the show the day before. I decided there would be no time for joining large queues waiting for demonstrations—not with 180 companies there on 6 floors. My strategy was this ; if it related to headphones I would make the effort. 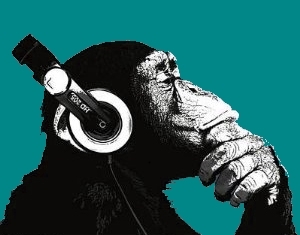 If there was space in a room for me to sit down and listen to some music that wasn’t jazz or obscure I was in. Armed with this self-discipline, I stormed the hotel. I shall give you a whistle stop tour of my day out. The ground floor was a popular place; many of the big names had put themselves there. The first people I came to were in the foyer. And so I came to my first gaffe of the day. The Chord Cable Company had a decent amount of square footage and sat beside a Duplo Headphone Stand was a Chord Dave. This was an opportunity not to be missed. 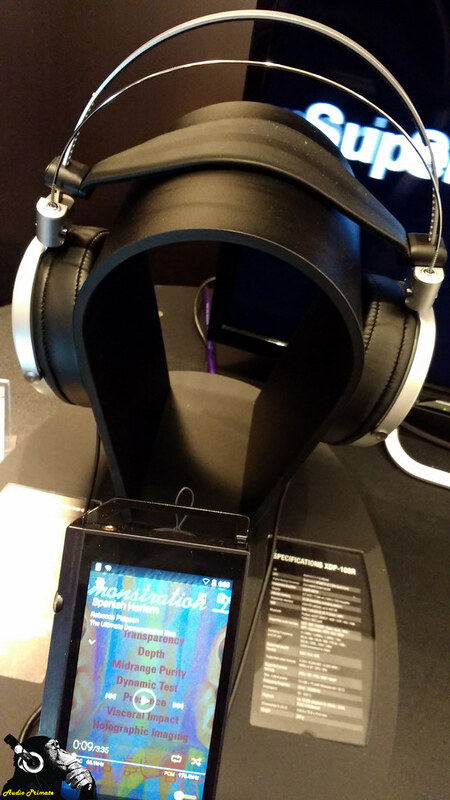 and had an Audeze LCD3 to demo. No one there! Not believing my luck I got the usual Hotel California started up and had a listen. This was on the standard Audeze cable. The Chord Dave through the LCD3 ; that is quite a special setup. Detail monsters but still with a laid back feel and lots of juicy sub and mid bass. 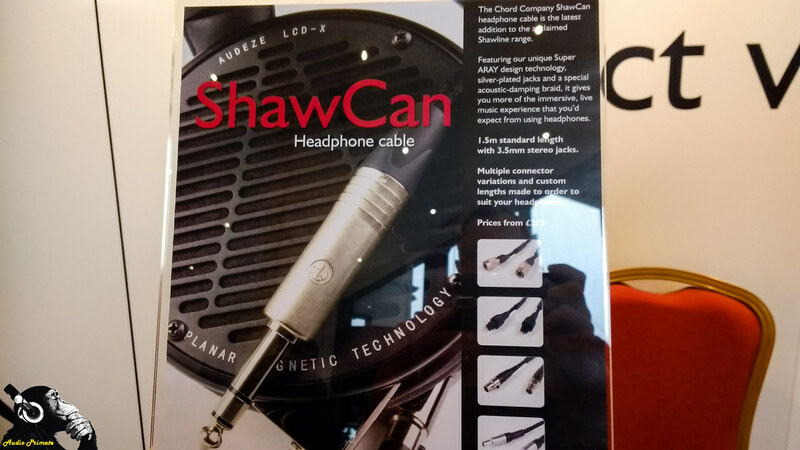 The ShawCan cables replaced the standards and I had another listen. To me I loved them and there was a significant enough difference to make me glad I had stopped by there, reinforced my belief that if you can hear it and you like it; that’s enough. Of course, I then let myself down by starting to talk about Chord Mojo’s etc and I was soon corrected. 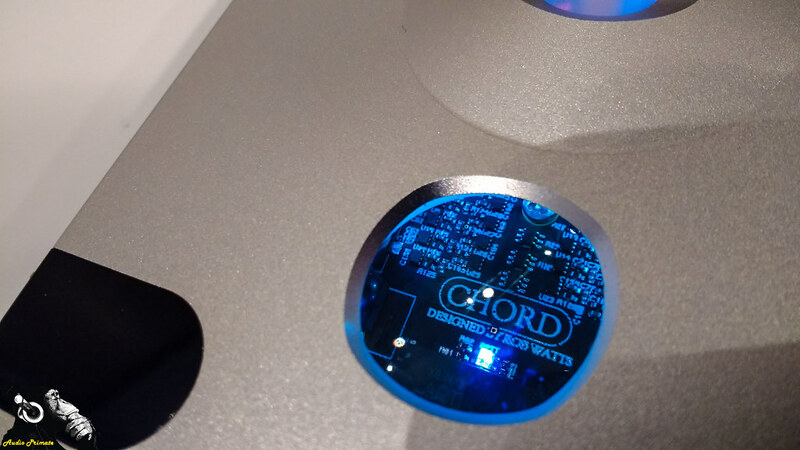 The Chord Company is an entirely different company from Chord Electronics. You have been warned. 18 watts of headphone amp! Moving on to the Pioneer Onkyo Suite I asked to have permission to go through the great range of DAPS on display, none of which I had used before. I had my set of Westone W60s at the ready. Once Pioneer were satisfied I knew what I was doing they left me alone for 20 minutes whilst I set to my task. I had at that point a Cayin i5 and an Aune M1S I was reviewing so I was familiar with what to expect from a high quality DAP. 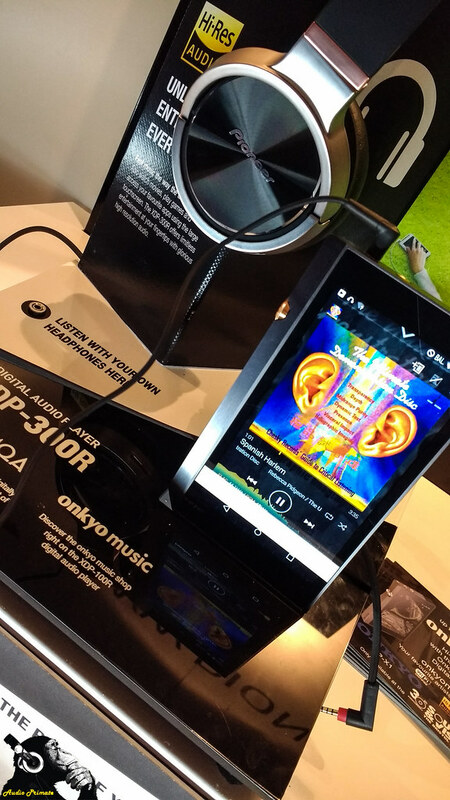 The Onkyo DP X1 was the first of the row to try. It was very fast , very flash and sounded great. The Pioneer XDP 300R was next up. The DP X1 and XDP 300R, I was reliably informed by the Pioneer rep, are one and the same internally. Nevertheless I took the opportunity to listen to Spanish Harlem by Rebecca Pigeon on the Pioneer. Stunning. 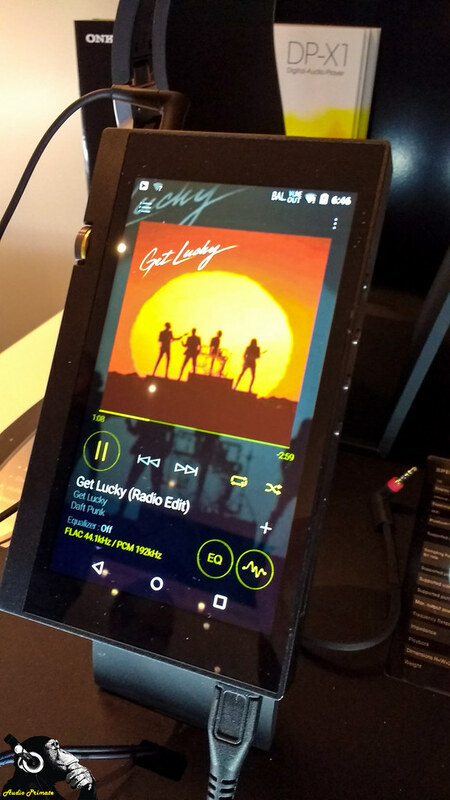 … which I ended up demoing on the XDP 100R. I have now heard the Master One Headphone 3 times and I can assure you it is a World Class Headphone. 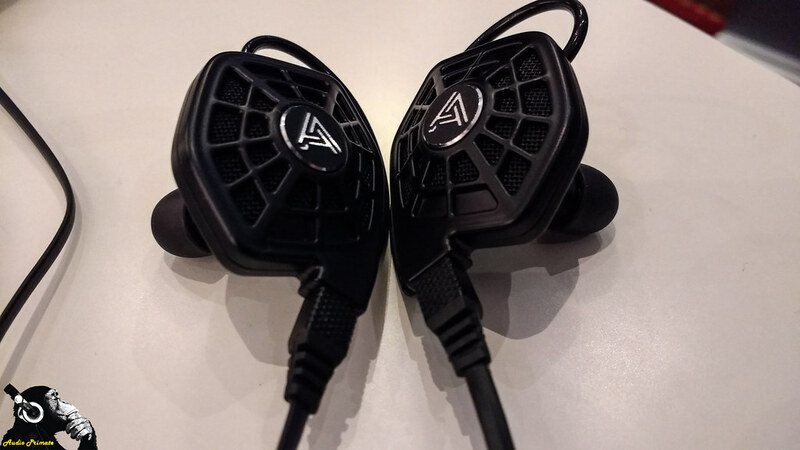 I am sure some people will prefer the signature of the Master One to the Sennheiser or Audeze equivalents. It has a great presence and punch to it. Sony were just across the floor and so I made my way there. A number of very exciting looking DAPs were on for demo and a full sized headphone that was one of the many wow factors of that day. The Sony Walkman invented it all. Portable Music in the early 80s started with Sony Walkman. Sony have done a lot of innovations in their time. The Walkman revolutionised what we do on the move. 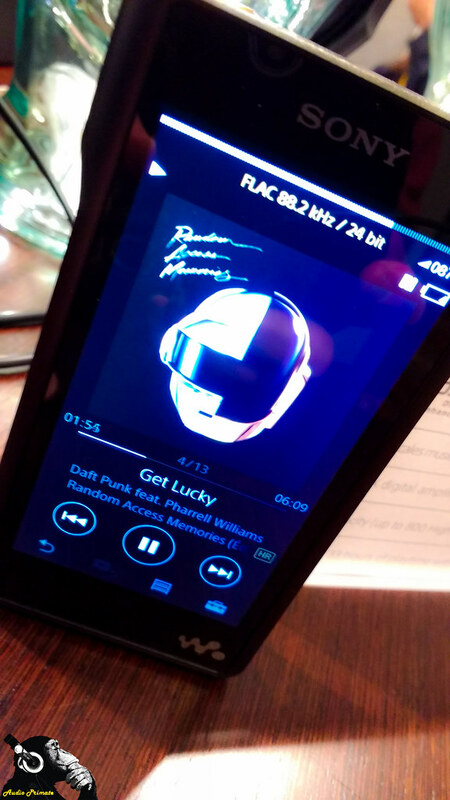 Their contribution to the portable music market is the most important one of them all. Hence the Walkman logo will always be special to me. 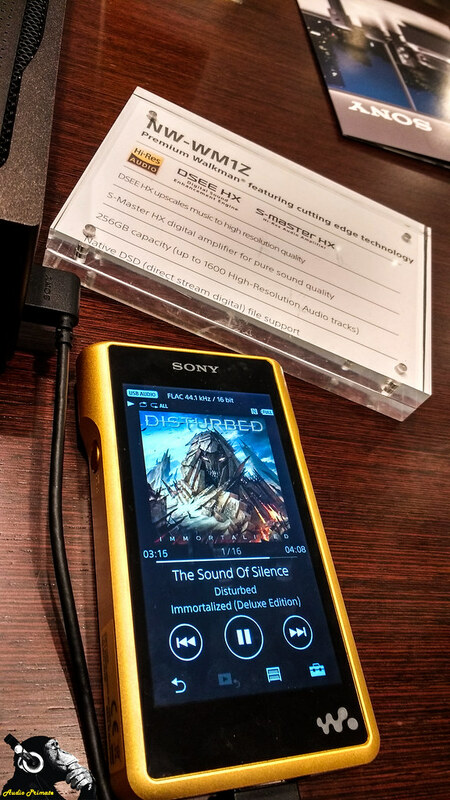 Sony have been upping their game recently in the Dap market. I listened to the WM 1A first. Great sound and lovely lines and in my opinion a slightly more detailed sound than the Pioneer and Onkyo equivalents. Th e WM 1Z is an endgame DAP. It weighs a ton. It has a copper body. It looks incredible. The TA-ZH1ES premium headphone amplifier was needed for the match up. The trio of flagship products was completed with none other than the Sony MDR-Z1R. This sublime styling will remind many of the previous flagship MDR-R10 made when I was in my 20s. I put my own SD card in that I’d listened to on the way up to Bristol from Cornwall. I was absolutely blown away by what I heard. And I was listening to FLAC files of 80s music. But it was like I was in the studio hearing a new recording. The headphones are semi closed so it was an even better experience that I’d imagined in such a noisy environment. Am looking forward to reliving that experience in April at the headfi meet taking place in Milton Keynes. Surely someone will have a pair to (quite rightly) show off? 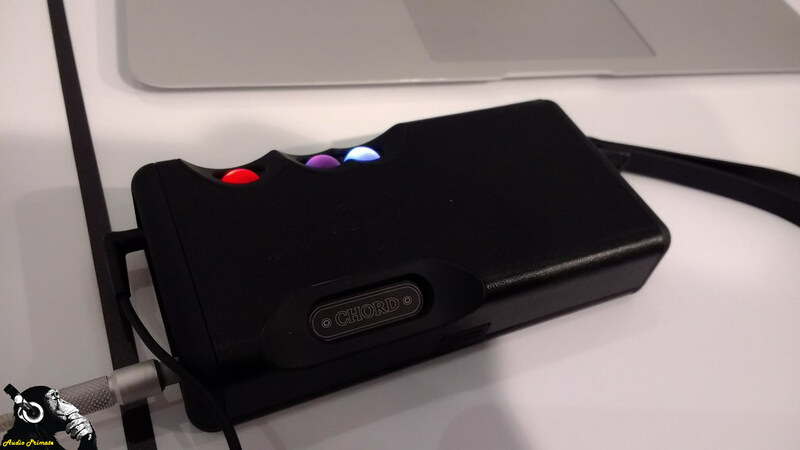 The Chord Electronics stand were demoing their latest Hugo II and Poly models. 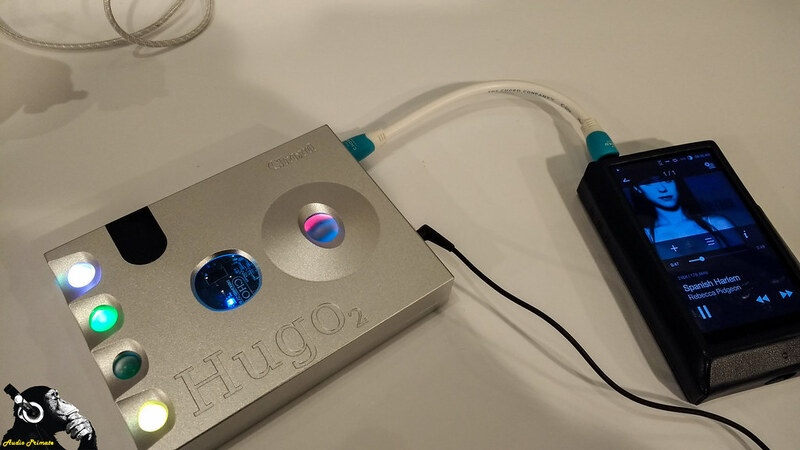 The Hugo II sounded as good as I thought it would and Chord can do no wrong in my eyes cosmetically. 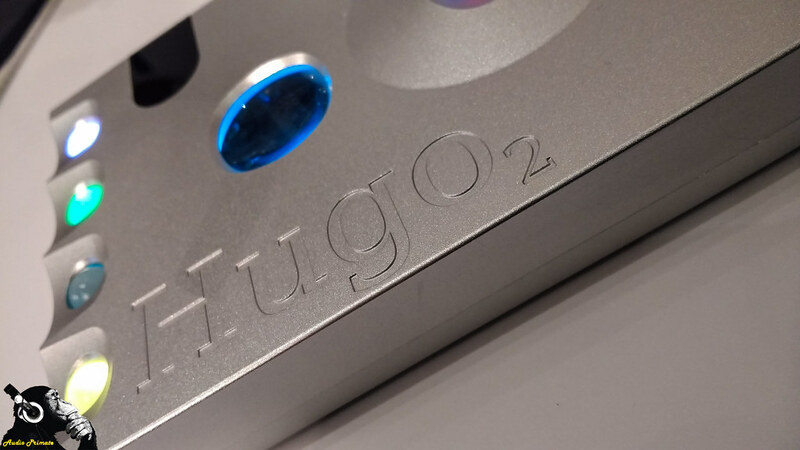 The Hugo II was absolutely beautiful looking and sounding. The Poly was a disappointment. I listened to Roon playing through the Poly’s WiFi into the Mojo. The dropouts came thick and fast. A DSD demo track didn’t play much more than a brief metallic scratching sound for few seconds. Then it fell back asleep again. I spoke to the rep who assured me that this was a prototype and the finished version would not be the same. He mentioned the WiFI in the Hotel would be the weak point here. The Poly retails at £499. This represents £100 more investment than the main products itself. The Chord Mojo retails at £399. I have had one since October 2015 which speaks for itself. I was expecting big things for an add on that costs £100 more. My experience I sincerely hope was due to the problems explained on the day. 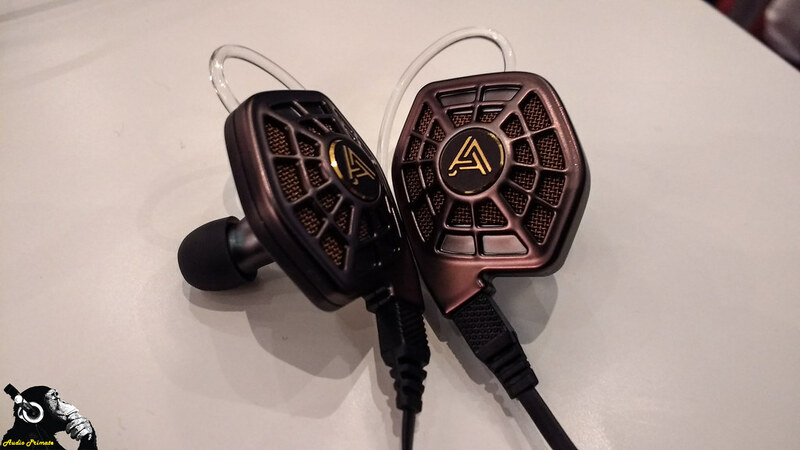 I made a beeline next for the Audeze stand – I wasn’t sure but I though there was a good chance their new in ear range would be there. The UK debut of the iSine series took place at the Bristol Show. I suppose that means I must be one of the first in the UK to hear them. Cool! The in ears are made with imagination and are amazing to look at. Anyone who thinks there is no more that can be done in such a small space with which to work a design had better think again. These are like tie fighters attached to your head. 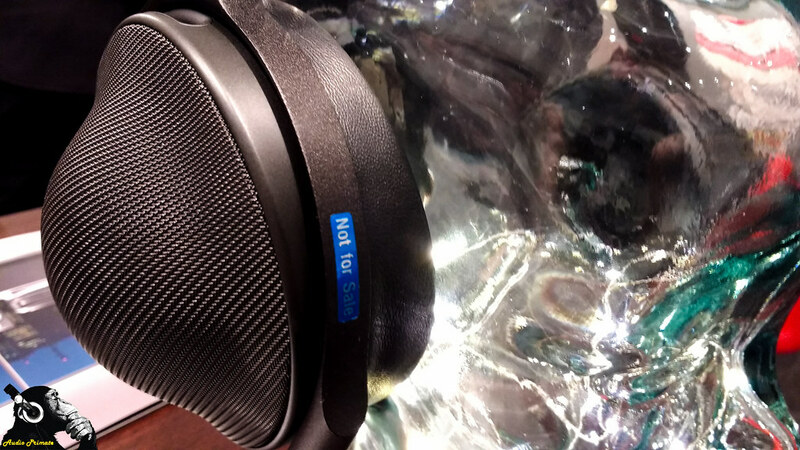 The iSine 10 (£349) and the iSine 20 (£549) are head turners. They are not a closed design. 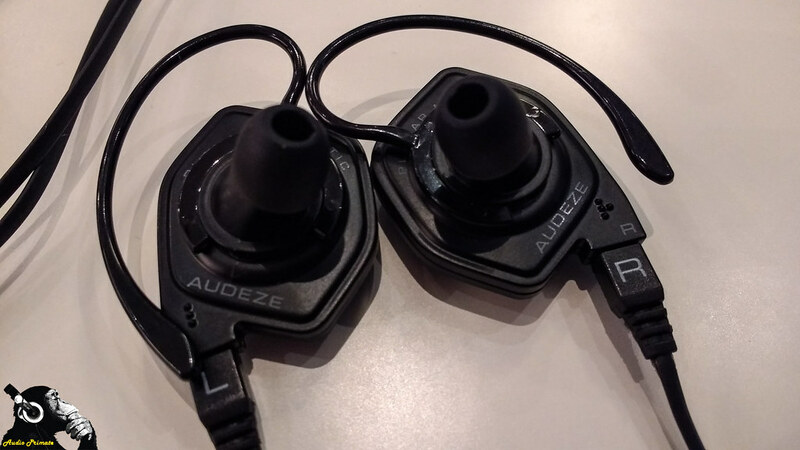 For in ears that is highly unusual and shows how much Audeze have gone out on a limb. The fit is a plastic hook put really tight to the end of the huge driver shells. It feels flimsy and takes a few goes before it stops looking awkward fitting them. The result is a locked in feel and is very reassuring. The nozzles are crazily long. The tie fighter shells hide this well. The tips sit on the entrance to the ear canal and do not need any effort to get into position. They don’t need stuffing into the ear canal. They are extremely comfortable and the weight is excellently distributed. 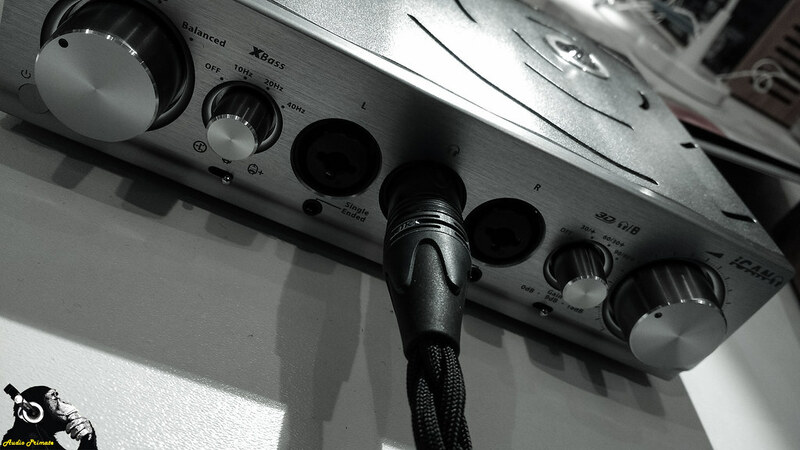 The sound quality of both the 10 (£349) and the 20 (£549) are well within the price levels they have been set at. The open design leaks some sound out but surprisingly little. 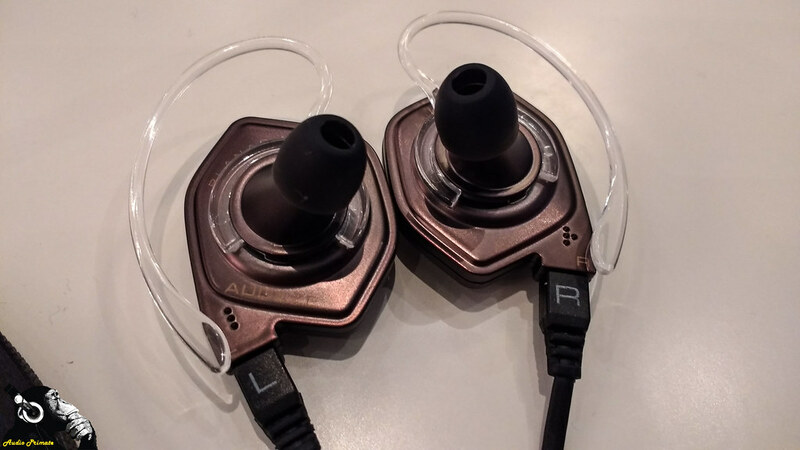 The planar drivers give a different signature than you’d expect from an IEM and has much more in common with Audeze’s full sized range than you’d expect from something this size. Outside sounds leak in more than the earphones leak out to the world, good for city commuting and the need for the odd bit of traffic noise to remind you there is a real World beyond what’s being piped into your head. Full sized time now as I ventured downstairs. I found a Sennheiser Room – it was closed but it had a sign on it. A quick double take – the HE 1 Orpheus was available for a demo first come first served! It was 1 o’clock by then. Surely I had missed my chance…. I shot up the stairs as fast as I could politely go and dashed for the Sennheiser Bristol Suite to see if there were by a miracle any spaces left. I held my breath to try and calm myself as I waited for the Sennheiser rep to finish with his customer. I couldn’t help but overhear the words I shall not forget for the rest of my headphoning days. “Yes we can put you into the last slot , will 20 to 5 be ok?” I’m screaming inwardly NO!NO!That’s too late for you!Where’s my Jedi Mind Trick when I need it? Maybe if I had the iSines on?! But then my gentlemanly nature stepped in had a quick word with me and all was once again well with the World. That gent got there first go the last slot and was a lucky man and I know he will have had a wonderful experience. For me it was not meant to be and there was no time to regret anything with 4 floors of audio left to explore. I went to the Quad room downstairs. I knew that would lift me again. Their electrostatic speakers are something you have to experience if you haven’t yet had the chance. They were there in 1988 and they’ll no doubt be there in 2088. I sat down and listened and drifted away for 15 minutes, indulgence itself. If anyone in headfi hasn’t been in a cave for the last 12 months they will be familiar as to the next room I paid a visit to. Focal had a corner room on the first floor. Inside that room were 4 headphones. The Spirit, Elear and Utopia were on show. Finally, I had an opportunity to see what the fuss was all about. The Utopia had just 1 person listening to them. There were 4 people in the room at the time and one of them was the Focal rep. I waited 60 seconds and treated myself to the first of 2 listens to the Utopia. It is deserving of the hype. It is sublime. It does offer something extra. I did enjoy myself. The Naim music server had tons of familiar albums on it. I listened to Bob Marley Three Little Birds as if for the first time. There was what I felt to be a binaural effect going on here. Musical detail on a scale that I had heard would be there. It was there. The placing of the instrumentation was pinpoint. The Utopia, in short, is a triumph. I mentioned 4 headphones. The 4th was a Utopia but not just any £3425 Utopia. A designer had blinged this particular model up with gold and diamonds and the like. Apparently this was a £120,000 Utopia. This was not for demo, just for show. I didn’t take a picture of the Utopia blingy headphone. I have no idea why.To which I must now apologise. Time was moving fast and I wanted to look through each floor. There was lots to listen to. Some photos are here for you but some rooms that were particularly memorable amongst the 50 or so that I visited I have inexplicably neglected to take even a single shot of. Two rooms downstairs of particular mention were Dynaudio and Esoteric. Dynaudio had the Love Over Gold album by Dire Straits on. I listened for 10 minutes or so. I am convinced that the tweeter on the giant speaker to my left was blown… There was considerable distortion even in the quiet parts of the tracks. It was possible that the left speaker being in close proximity to other speakers and cutaways was causing these vibrations. Puzzling. There were many 10s of £1000s worth of equipment being used in that room. The steal of the show for me came from a small room way up in the rafters of this grand hotel. 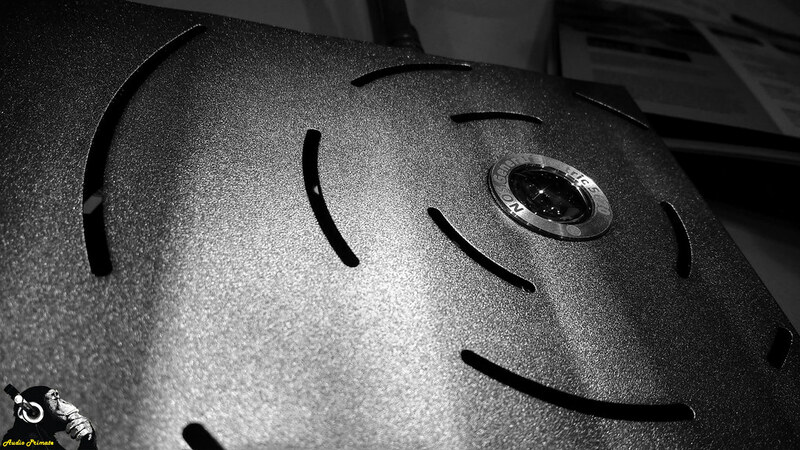 Ophidian are a loudspeaker company based near Liverpool. I was cruising along the 4th floor listening for non jazz rooms and a place to plant my weary self. The soothing sounds of Christine McVie could be heard in an unobtrusive hotel room halfway down the corridor. I made my way inside. The room was much like the others on the fourth floor. A hotel room complete with fridge , air conditioner and all the trimmings. Instead of a bed there was kit. Much the same on all of the floors. Except Ophidian had arranged their room so as the speakers were across the width of the room rather than up the length of the room. Their £2299 Prophet P1 was first up. Songbird was on the laptop. My first thoughts were that this was one heck of a powerful speaker. In fact so much so it was overpowering the room. The mids and midbass were too much and the whole thing sounded too loud and too forward. A quick change brought on the Minimo. It is a tiny speaker. A 2 way affair with a wall mounted option. I could not believe the bass these tiny speakers produced! We must not get bowled away by the bass of course. Such things are what hit you first. And these did everything I would want for in a pair of speakers. The imaging and tone was just right. For £699. I gave the rep for Ophidian a grilling. No, no subwoofer. No,no tone controls. No, the eq was switched off on the laptop. No, the stands were £60 Atacamas and they were hollow. No, no acoustic treatment anywhere in the room. Ophidian were hidden up on the fourth floor, I’d never heard of them before. There was no fanfare no hype and no hard sell. Surely this is the essence of what makes these Shows worth all the effort?